Americans for Prosperity announced it will suspend its campaign against La Plata County’s land-use codes after county officials announced they will put the process on hold to address residents’ concerns. Americans for Prosperity has pulled back its campaign against La Plata County’s proposed land-use codes, for now, the group’s deputy state director Tamra Farah said Monday. Last month, AFP announced it would take an active role to influence the county’s proposed land-use codes, which the group said are harmful to farmers and ranchers and infringe on individual property rights. Over the past few weeks, the politically conservative advocacy group launched a series of digital ads asking people to sign a petition against the land-use codes, which garnered 200 signatures from county residents and another 100 from people outside the county. While AFP is known for spending a lot of money on campaigns, sending volunteers door to door and making calls, Farah said the campaign in La Plata County was limited to digital advertising. But when La Plata County staff members and commissioners announced late last month they would put the land-use codes on hold to address serious concerns raised by residents, AFP decided to end its local efforts. Last fall, the La Plata County Planning Department released a draft of new land-use codes that seek to update antiquated regulations that haven’t been seriously overhauled since the 1980s. A number of La Plata County residents strongly opposed the draft codes because they viewed them an overreach of the county’s authority and an infringement of property rights. 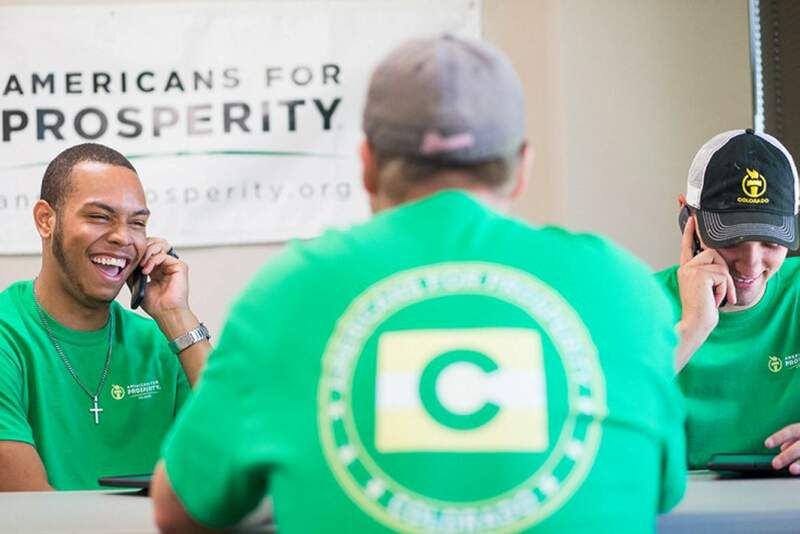 The issue caught Americans for Prosperity’s attention. The group recently opened a Durango office on north Main Avenue and quickly made the debate over the land-use codes its first campaign on the Western Slope under new Colorado director Jesse Mallory. This past summer, the group also hired its first representative on the Western Slope – La Plata County resident Ginny Chambers – to expand the group’s reach into more rural parts of Colorado. “Given the feedback we’ve been getting from the community on the land-use code ... look for us to become involved in educating and rallying our activists against this plan,” Mallory wrote in an email to The Durango Herald on Jan. 27. It is unclear if people associated with AFP attended land-use code meetings because it is difficult to determine if those who object to the draft land-use codes also identify with the advocacy group, Farah said. Farah adamantly said that the group has not donated money to any group or individual engaged in fighting against approval of the draft land-use code. “We never have, and we never will,” she said Monday. Jon Fossel, a representative of LaPlata Liberty Coalition, a group of residents who recently formed mostly in opposition to the draft codes, said the group has never received outside money for its efforts. Expenses that LaPlata Liberty Coalition have incurred so far, such as paying for room at the Sky Ute Casino Resort for a meeting, have been completely funded by donations from local residents. Farah also denied any involvement, financially or otherwise, with the recall petition against La Plata County Commissioner Gwen Lachelt, who has claimed in recent weeks the group is behind the effort to oust her. AFP will continue to operate out of its Durango office, Farah said, working on various local, state and national issues, including protecting property rights and the Taxpayer’s Bill of Rights, as well as promoting federal tax reform. “We’re there and not going anywhere,” Farah said. The Koch brothers-funded group may re-organize its efforts on the land-use code, depending on the scope of revisions made over the next few weeks, she said.